The body of the Selmer 1432B is made from strong Resonite plastic. It features the popular Heckel key system (w/ high C key, F # trill, large ring A and C#-D# trills, rollers for C#-D# and F-Ab), and durable kid leather pads. Each bassoon comes complete with two bocals and sturdy wood shell case. Perfect for the beginning bassoonist or middle school band program. The body of the Selmer 1432B is made from strong Resonite plastic. It features the popular Heckel key system (w/ high C key, F # trill, large ring A and C#-D# trills, rollers for C#-D# and F-Ab), and durable kid leather pads. Each bassoon comes complete with two bocals and sturdy wood shell case. The Selmer model 132 bassoon is the ideal step-up bassoon. It features a 100% maple body with a rubber lined wing and boot joints to prevent cracking. The Heckel key system is made from heavy, drop forged nickel-silver and has pleanty of extras for the developing bassoonist (High D key / F# trill / Large Ring A and C#-D # trills / Rollers for C#-D # and F-Ab). 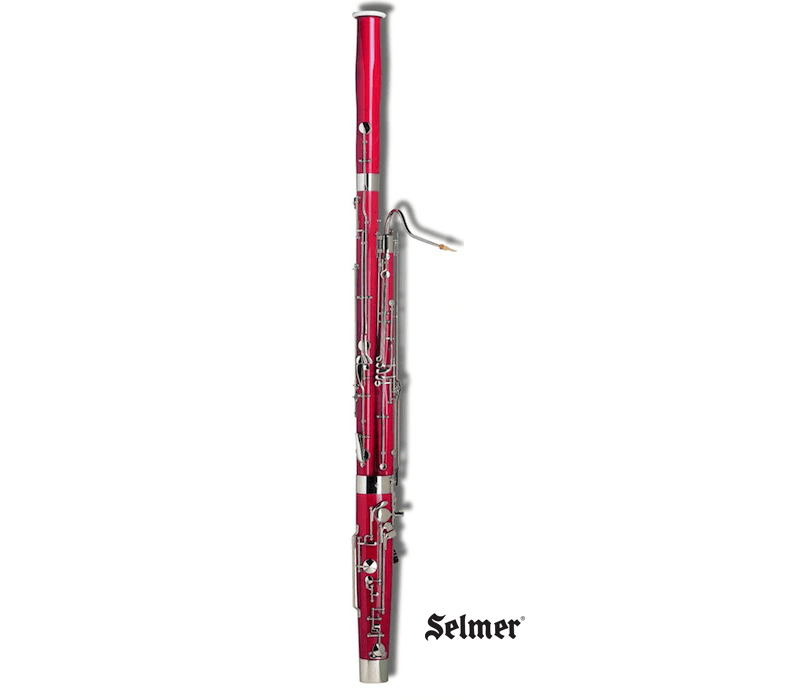 Built to not only sound fantastic, the Selmer model 132 bassoon is also built to last. This ideal step-up bassoon features a 100% maple body with a rubber lined wing and boot joints to prevent cracking. The Heckel key system is made from heavy, drop forged nickel-silver and has pleanty of extras for the developing bassoonist (High D key / F# trill / Large Ring A and C#-D # trills / Rollers for C#-D # and F-Ab).